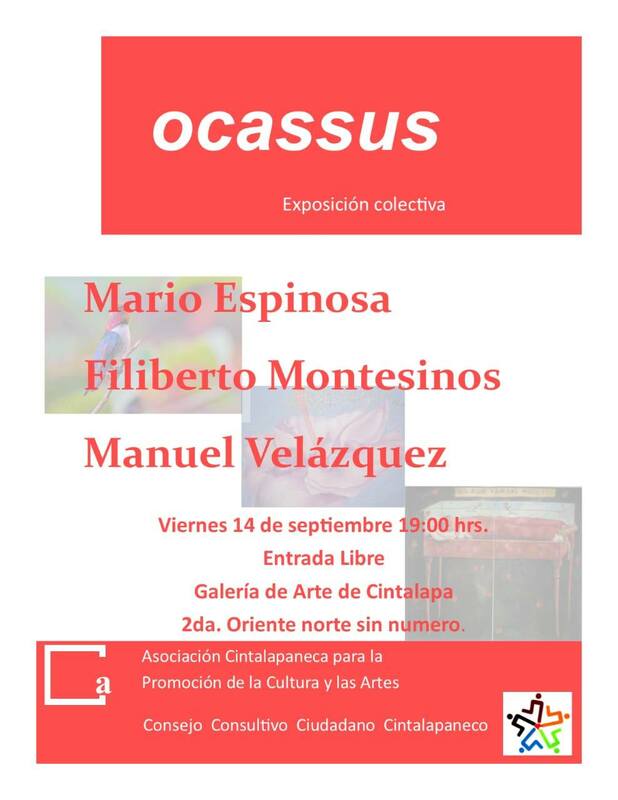 From September 14 to 30, 2018 Filiberto Montesinos and two other artists from Cintalapa will exhibit a selection of their works at the Cintalapa Art Gallery, a a few steps away from the city’s central park. You are cordially invited to the inauguration scheduled for Friday, September 14 at 7:00 pm. from 4:00 pm to 8:00 pm. Posted on Wednesday, September 12th, 2018 at %I:%M %p. Filed under: Exposition, Galleries RSS 2.0 feed.